Heading across the Atlantic, 15,000 feet, smooth air. Rochambeau airport personnel were absolutely wonderful. I was escorted to my plane, picked up a prepared weather briefing at the met office. 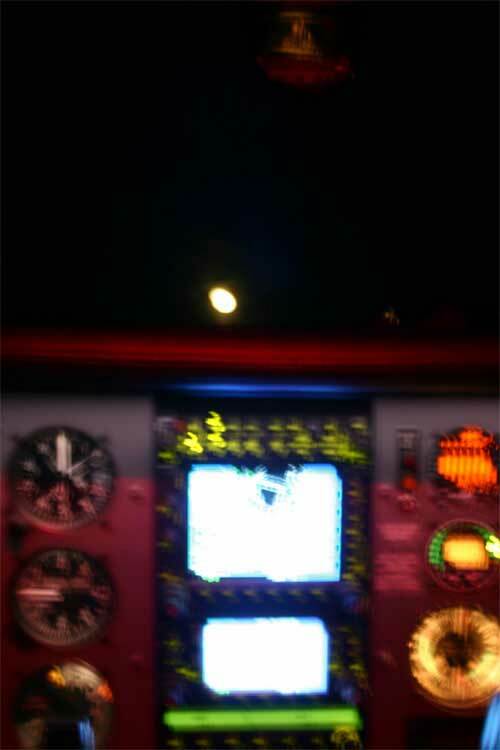 I took off at 0914 UTC, 6:14 local. I had 240 gallons, I was able to climb 500ft/min to 11,000, where I finally reached clear air. Although it was IMC and rain, it was smooth, a relief heavy. 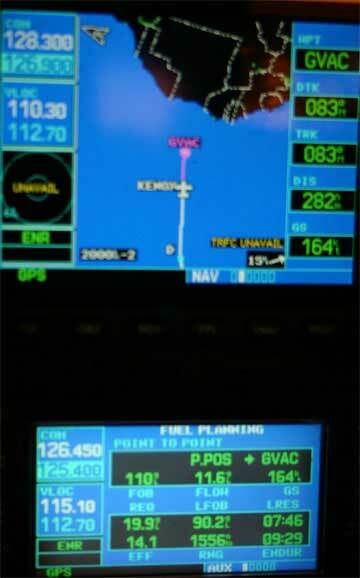 Initially, there were 20 knot headwinds, but four hours later, at 15,000 there is a 15-20 knot tailwind, making about 170. The plane is burning 11.4 gph, and will have just 92 gallons remaining at destination, and 8 hour reserve. The fuel system is complex in design but simple in operation. I burn off some, turn on the pump for three hours, check that I’ve pumped the same into the tank as I’ve burned off, then repeat. I don’t even have to switch tanks for 10 hours. I’m extremely comfortable, good music, cold drinks, the view and concept of the wide open ocean is just fantastic. There’s a high cirrus layer, scattered cumulonimbus below, white caps on the ocean, nothing but air and water forever. I turned in my flight plan the day before the flight at Rochambeau, the staff were very helpful. On an off airway trip, you have to create waypoints that lie on a line, but ATC likes even numbers, so you pick whole degrees, and locations where you change FIRs. It’s a slightly zigzag course, but only 35 miles longer than a straight line. 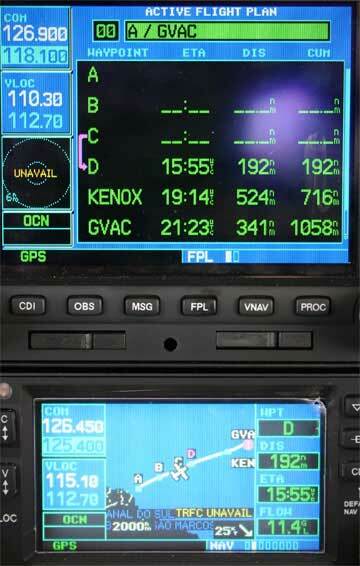 It’s easy to enter the waypoints on the GPS, named A, B, C etc., and the estimated time at waypoint is a huge work saver. The autopilot flies the course. I have reports to make, but it’s peaceful. The HF usually brings a quick reply; communications go well. It takes patience, and the occasional relay, but it’s fun, the guys up at 390 are generally willing to help out the single at 150. I’ll arrive in Sal two hours after sunset, but the moon will be up and full. Sunset is precisely on my tail, an hour later the moon rises directly in front. The first of the Cape Verde islands is in sight, I saw nothing whatsoever on the crossing, not a boat or other plane. Arrived in Sal, asked to report intercepting the localizer, then landed. 12:14, 1860 nm, 150 gallons. Airport business again, then to the hotel and dinner before midnight.